Weddings are a speciality at Simply Barbados Luxury Holidays and anything is possible! 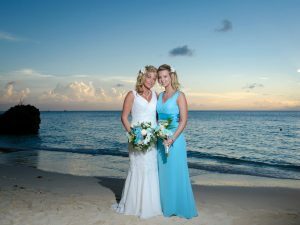 Here at Simply Barbados Luxury Holidays we believe that every Bride & Groom is important to us. From the offset, they are provided with the individual friendly service that all couples deserve when they are planning the most important day of their lives, and we want it to be as memorable and enjoyable as possible so that you can cherish the memories for a lifetime. We aim to take all of the pressure and strain from the whole booking procedure so that you can focus on the finer details. Whether it is an intimate wedding for 2 or a larger wedding for 30 plus, we can cater for each and every one of your needs, ensuring you the peace of mind and ability to relax in the knowledge that your wedding is in safe hands and that all of your wedding requirements will be met. Group discounts with our hotels and airlines, so you benefit. 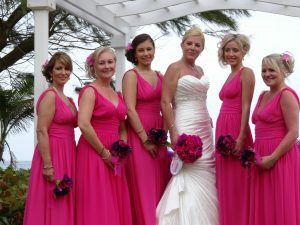 Constant contact with your dedicated wedding co-ordinator during the run up to your Wedding day. We believe in creating your personalised dream wedding in Barbados, we would be happy to give you suggestions for different wedding ideas and locations. Our hotel wedding coordinators will work with you to ensure everything runs perfectly! All of our hotels and villas offer wedding services (some offer free weddings! ); we work directly with them in providing the most beautiful weddings. Nothing is too much trouble; we go to every length to ensure your day is one to remember forever. Alternatively, if you would like something a little different for your Barbados wedding and would like your own personalised Wedding Planners, we have some of the best Wedding Planners in the Caribbean that we work with. As we are not a travel agent, we are able to speak directly to the hotel or Wedding Planner. We never go through a third party as this is where details can be missed.